When choosing where to have your vehicle serviced, you have many choices. 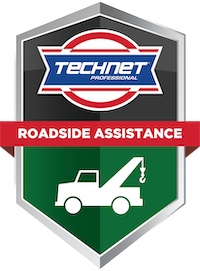 When you consider the quality of workmanship being performed on your vehicle you’ll find TECHNET PROFESSIONAL AUTO SERVICE® centers protect your new car warranty and are committed to providing a successful and pleasant automotive service experience. Virtual Vehicle is an online support program that TECHNET PROFESSIONAL AUTO SERVICE® centers use to simplify the communication between the service advisor and you! Next time you stop by or have your vehicle serviced at a TECHNET PROFESSIONAL AUTO SERVICE® center, ask for a Virtual Vehicle tour! 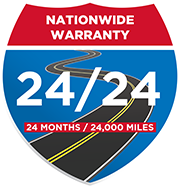 24 months or 24,000 miles / 38,000 kilometers, whichever comes first when traveling more than 25 miles / 40 kilometers from the original TECHNET PROFESSIONAL AUTO SERVICE® repair facility.